← #HipHop101 How much of my own money will I spend on making music? 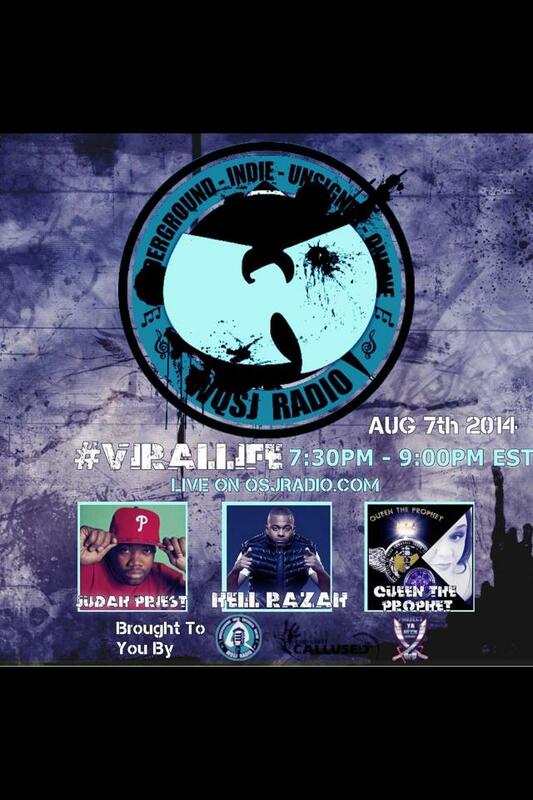 Posted on August 7, 2014, in HELL RAZAH presents GHETTO GOVT (GGO), The HipHop Dungeon, UNDERGROUND NEWS and tagged BKZU, Blog Talk Radio, Brooklyn Zu, Dave Hernandez, GGO, Heaven Razah, Hell Razah, Judah Priest, OSJ Radio, Protect Ya Neck Records, PYN, Radio Show, sunz of man, wu tang clan. Bookmark the permalink. Leave a comment.